After a long time, the government employees can heave a sigh of relief. 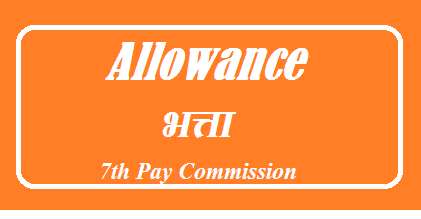 The 7th Pay Commission was finally cleared with all its due allowances on June 28th with its effect starting from 1st July onwards. This singular move shall benefit over 50 lakh government employees. The modifications in the current allowances are made on the basis of the suggestions given by the Committee of Allowances (CoA). The final report was submitted by the CoA on 27th April, 2017. This move shall now increase the government expenses by Rs. 1448.23 crore per annum – which was the projected increase in expenditure post 7th Pay Commission. The government also implies that the additional charges might go a little above Rs. 29,300 crore per annum for all the other allowances and types of it. Therefore, the combined impact on government resources is Rs. 30748.23 crore per annum. How changes in allowances were made? There were total 197 allowances which were examined by the government. All of these allowances were distributed and examined under a three-pronged approach. During this, the officials assessed whether these allowances are necessary for livelihood or not. They also analyzed how each allowance fulfilled the need for each type of persons. Based on this, the allowances were clubbed together under similar objectives. Keeping in line with the inflation, the dearness allowance (DA) was raised under the 7th However some parts of the allowances like Transport Allowances (TAs) remained the same. The rest of the allowances which were not linked to DA are raised by a factor of 1.5. Those allowances which constitute a percentage of the income were raised by a factor of 0.8. This is the new type of paradigm which has been created to look after the allowances that are linked to risk and hardship. This means that those jobs profiles which have a lot of risk and hardship associated with them (such as CAPF, Defense, etc.) are fitted into a different category. The allowance for this type of workforce comes under the table called Risk and Hardship Matrix. There are rows and columns depicting the various levels of hardships and along with that there is RH-Max and Siachen Allowance that also shows the different categories. More than one rate is applicable for individuals who are placed under the different slab rates. But each of the multiple slab rates will get replaced by two slab rates. Finally, the Cabinet approved the some changes in the provisions. These modifications were finalized by the E-CoS. But before that they had to pass through the stakeholders. It was the CoA that took their consultation before sending these representations through. From the staff’s side, the Joint Consultative Machinery was present there and several members of the staff association also took part in consultation. So the final impact on the allowances was that some of those which were very much needed for the administrative exigencies were kept intact. But the allowances were given much thought to appropriate their rationalization. There were 53 total allowances at first, out of which 12 were kept intact – which were initially going to be abolished. This is done keeping in line with some of the requirements under some specific organizations like Posts, Scientific Departments like Space and Atomic Energy, Railways, and so on. Then there comes the other 37 allowances. The government has decided that 3 out of them shall be subsumed and they will continue to exist as separate identities. This has been done because these allowances are unique and they serve a purpose for at least some part of the work force. Perhaps this is why these rates have been increased. So now these 3 types of allowances shall increase under the 7th There are, at present, 1 lakh employees who will get the benefit from this specific type of allowance. In this, there come the Railways, the Scientific Department, the Defence and Posts. There has been more talk about this type of allowance than about any other type. Currently, the HRA stands at 30% for X class cities (that is for cities that have a population of 50 lakh and above) and 20% for Y class cities (that is, for cities whose population ranges between 5 to 50 lakh) and 10% for Z class cities (this is mainly for village areas or small towns where the population is below 5 lakh). During the 7th CPC it was recommended that the existing HRA rates should come down to 24%, 16% and 8% for the X, Y and Z cities respectively. But it was later realized that if the HRA comes down then those employees who come under the low income bracket shall be at a great disadvantage. This is why the HRA should not be less than Rs. 5400, RS. 3600 and Rs. 1800 for X, Y and Z category cities respectively. So the government decided to set a minimum floor rate of 30%, 20% and 10% calculated over the minimum pay of Rs. 18,000. With this singular move, the government shall benefit over 7.5 lakh employees who belong to only Level 1 to 3. Apart from this, the 7th CPC recommended that the HRA revisions shall come in two phases. The first one shall see a hike that brings it up to 27%, 18% and 9% respectively when the DA crosses 50%. In the next phase the HRA shall hike to 30%, 20% and 10% – if the DA happens to cross 100%. But since there is a rising rate of inflation, the Government has decided that the rates will further rise. When the DA crosses 25% and 50% then the HRA will also rise in future. This move will specifically help those individuals who do not reside in government accommodation and still get the HRA. We already told you about the RH-Max table right? This is where it comes into action. As per the 7th CPC, the Siachen Allowance goes straight into the RH-Max cell of the Risk and Hardship Matrix. There are two slabs for this type of allowance – Rs. 21,000 and Rs. 31,500. This is especially done because the officers or PBORs on the Siachen border take on a continued risk and have to face a lot of difficulty living in those conditions. This is the reason the government has now decided to enhance the Siachen Allowance. Currently the rates for this are Rs. 14,000 but after the implementation for the 7th CPC it will rise to Rs. 30,000 per month for the Jawans and the JCOs. This will be applicable from Rs. 21,000 for the Jawans and JCO s on Level 8 and below. It shall be Rs. 42,500 per month for the officers who are in level 9 and above. This means that from the 7th CPC onwards, the Siachen Allowance shall become twice than the existing rate. Hence the soldiers who are posted in the Siachen border from the Indian Army shall get a pay hike. A dress allowance is nothing but the allowance that is given as Washing, Uniform, Kit Maintenance and Outfit. All of these different types of allowances have been subsumed and they are taken under one type of allowance which will now be called the Dress Allowance. This type of allowance shall have four slabs from now on – Rs. 5000, Rs. 10,000, Rs. 15,000 and also Rs. 20,000 per annum – differentiated according to the types of employees and their designation. This means that the Nurses shall get this allowance now on a monthly basis – because their profession requires them to maintain a high level of hygiene. Also, the SPG personnel shall get the Dress Allowance from now on because they are already getting the Uniform allowance. Right now the uniform allowance is higher than the rates that are recommended under the 7th Due to the specific requirements of the SPG personnel, they shall get this allowance benefit. But for others, their allowance shall depend on the specific clothing that they have to adorn. Tough location allowance (TLA) is just what the name says – it is the type of allowance that is given to a specific person for living in areas which are difficult to survive in. It is a tad bit different from the Siachen allowance – which focuses mainly on the Siachen border, but the idea is the same. The allowances are raised keeping in mind the tough conditions that the people have to survive in, in these areas. At present the government has Special Compensatory Allowance for areas that are remote and there is Tribal Area Allowance, Sunderban Allowance and such things. The TLA has taken all of these allowances under one umbrella. The areas taken under TLA have been classified into three main categories (mentioned above). The rates under them have been mentioned under the Risk and Hardship table. The range for TLAs is between Rs. 1000 and Rs. 5300 per month. Some of the other allowances have also got some important recommendations. For example the Children Education Allowance (CEA) is now increased to Rs. 2250 per month per child (max. 2). It was Rs. 1500 earlier. The hostel subsidy shall also increase from Rs. 4500 per month to Rs. 6750 per month. This is not the only recommendation. Even the Special Allowance for Child care for Women with Disabilities is also increased from Rs. 1500 per month to Rs. 3000 per month. Other incentives like Higher Qualification incentive for the civilians has now been increased to Rs. 10,000 – Rs. 30,000 (grant). Earlier it was Rs. 2000 – Rs. 10,000. The 7th CPC has recommended that the Ration Money Allowance (RMA) should be abolished – that the Defence officers should not get free ration as they do right now. Instead of that, the RMA is proposed to be directly paid to them in monetary terms. This is supposed to be more beneficial to the Defence officers and it will apparently benefit about 43000 officers. This type of allowance is paid to the officers in the technical branches that is – of those that are in the Rs. 3000 and Rs. 4500 per month range. But according to the 7th CPC recommendation, the Tier II allowance under this category shall get merged with Higher Qualification Incentive (HQI). While you may wonder why this changes, the reason is simple – defense needs more technological advancement. Hence, the government is implying that a better resource allocation towards the higher qualification category would improve the scientific edge the force has. As per the latest announcements, the government is now keeping in pace with the Defence requirements which calls for a change and improvement in technologies used. This is why they will discontinue the Technical Allowance. It will be replaced with HQI instead. The list of courses for these allowances, however, will keep getting reviewed and they will improve in future. At present, the defense personnel serving in higher altitudes or CI Ops or in Field are given LTC. Right now one extra free railway warrant shall be extended to all of them. Such an extra warrant shall also be given to the Indian Coast Guard and the CAPFs. The High Altitude Allowance shall be extended to Rs. 2700 to Rs. 25000 per month now. The Field Area Allowance increases to Rs. 6000 – Rs. 16900 per month in the revised schedule. However, the Ministry of Defence for Defence Personnel shall classify the field to grant this benefit. Similarly, the Counter Insurgency Ops allowance will now increase to Rs. 6000 to Rs. 16900 per month. The MARCOS and Chariot Allowance shall also increase to Rs. 17300 to Rs. 25000 per month. The Sea Going Allowance shall also increase under these new criteria. It shall now range between Rs. 6000 and Rs. 10,500 per month. In addition to that, the conditionality for the Sea Going Allowance shall also decrease. Previously it used to be 12 hours, now it will be 4 hours. Commando Battalion for Resolute Action (COBRA) Allowance granted to the CRPF personnel in the Naxalite areas shall also increase to a Rs. 17300 – Rs. 25000 per month. To the flying branch the Flying Allowance shall also increase to Rs. 17300 to Rs. 25000 per month now. This goes for the Air Wing in the BSF also. HQI for Defence increases to Rs. 10,000 – 30,000 (Grant) range. Aeronautical allowance, which was earlier only given to the Indian Navy, has now been extended to the Indian Coast Guard. It has been slightly increased and now stands at Rs. 450 per month. Test Pilot and Flight Test Engineer Allowance shall now follow the R&H matrix and it will increase to Rs. 4100 to Rs. 5300 per month. Some other allowances like the Territorial Army Allowance are now increased by Rs. 1000 – Rs. 2000 per month. The Deputation (Duty) Allowance is also increasing to Rs. 4500 – 9000 range per month. The Para Jump Instructor Allowance rose to Rs. 6000 – 10,500 per month range. Also the detachment allowance increased to Rs. 405 to 1170 per day. Lastly, it is the Special Incident or Investigation or Security Allowance that has got the biggest hit. It has got SPG revised from 27.5% to 55% – calculated over the basic pay and for both operational as well as non operational duties respectively. Rates of Additional Allowance are now increased from 500- 100 rupees range to Rs. 1125 – 2250 per month range. Also, this facility is now extended to t he Loco Pilot Goods and to the Senior Passenger Guards. They shall receive this at Rs. 750 per month. The train controllers have a very strenuous job. Therefore, recognizing their efforts, a new allowance has been introduced for them which are at Rs. 5000 per month. The current rate for Nursing Allowance has been increased to Rs. 7200 per month from Rs. 4800 per month. Also, the Rate of Operation Theatre allowance is now Rs. 540 per month. The Rate of Hospital Patient Care Allowance, also called the Patient Care Allowance has been increased to Rs. 4100 to Rs. 5300 per month. The 7th CPC recommendations have now also been modified to an extent that it will be granted to Ministerial staff now. The rate of Fixed Medical Allowance (FMA) is now Rs. 1000 per month. It has got a 500 rupees hike. It will benefit those central government employees who are not availing CGHS facility – about 5 lakh pensioners. The rate of Constant Attendance Allowance is raised from Rs. 4500 per month to Rs. 6750 per month for 100 per cent disablement. The rate of Launch Campaign and Space Technology Allowance has seen a hike from Rs. 7500 per annum to Rs. 11250 per annum. The professional update allowance for non-gazetted employees is also now being paid at the hiked rate of Rs. 11250 per annum. Also, the previous recommendations suggesting that the Launch Campaign Allowance and Space Technology Allowance should be abolished – has not been accepted. This is because the government is now stressing upon the importance of science and tech. Also, the scientists and the other crew members who are taking up the expedition to go Antarctica were initially being given Antarctica Allowance under Risk and Hardship allowance program. In fact this program was supposed to have a special mention under the RH-Max cell. The rates recommended for this program are lesser than the existing rates which are being paid on daily basis. However, to appropriate the rates and to allow it to increase, it is finally decided that this rate will stay out of the RH Max cell. This is why they are currently being paid on a daily basis at the rate of Rs. 1125 (summer) – 1688 (winter) to Rs. 1500 (summer) to Rs. 2000 (winters). Earlier it was recommended that the cycle allowance to postmen and trackmen in Railways should be abolished. But this recommendation has not been accepted. This is why this allowance is still pertaining for the postmen under Department of Posts and for trackmen who are working in Railways. In fact, the rate of Cycle allowance has now been doubled. It has been increased from Rs. 90 per month to Rs. 180 per month. This will have a direct impact on 22200 employees. Although several different departments will get the benefits of this pay hike, the one that will benefit the most is the Defence department. There are many allowances and improved conditionality for them. The total number of allowances for this department along with railways, nursing and posts is 197 to 128. The government has showed that it is placing great concern over the current scenario of defence and the state of affairs of the country. Nearly several thousand government employees have been looking forward to this change and it has finally come in this form. 10 Antarctica Allowance Rationalized and Retained – Level 9 and above at the rate Rs 31500, Level 8 and below at rate Rs 21000 regards to Cell RH Max · Maintained outside hardship and Risk factors and paid on daily basis. · Revised rates – Rs 1125 daily basis, and Rs 1688 to Rs 2000 during winter and summer. · 10 percent paid to team leader daily and Rs 2200 during winter and summer. 18 Allowance- Breakdown This allowance has been eliminated from the list Retained after multiplying present rates by 2.25 times. Revised rates to Rs 300 monthly from Rs 120 monthly to Rs 675 and Rs 270 monthly. 23 Allowance- Cash Handling This allowance has been completely eliminated Rates revised after including with Treasury and cash handling. – For amt. below Rs 5 lakh revised from 230-600 to 700. 28 Allowance- Coal Pilot Eliminated completely from the list of individual allowances Retained and present rates multiplied by 2.25 (Rs 45 to Rs 102 and Rs 15 to Rs 34 for first and per trip). 42 Allowance given for Cycle purchase Eliminated from the list as individual category allowance Retained with rates doubled from Rs 90 to Rs 180 for railways and posts dept. Yet to be settled for other departments. 43 Allowance given away as Daily allowance Eliminated from the list as individual category Non Ac Cab charges changed to Ac Cab charges for 50 Km for 12 and 13 level. For level 14 yet to be compensated. 84 HRA allowance Rationalized and Retained by 0.8 factor HRA to be given at rate 30 percent for Rs 1800, Rs 3600 and Rs 5400 per month for cities with 50 lakh and above population (X) and 20 percent for cities with 5 to 50 lakh people (Y) and 10 percent for cities with less than 5 lakh population (Z). For all three 9 percent, 18 percent and 27 percent HRA will be calculated for Z,Y and X cities in case DA is above 25 percent and if DA exceeds 50 percent for X,Y and Z cities then rate applicable will be 30, 20 and 10 percent. 134 Allowance given for Qualification Grant Eliminated from individual category and included under Defense personal and High Qualification incentive for employees Not given for two tier course. 138 Allowance for Ration Money Eliminated from the list completely Defense force provision discontinued. RMA still to be given for personnel in peace areas. 161 Allowance for special duty Rationalized and Retained by 0.8 factor NE cadre officers will be given 25 percent allowance as per DoPT’sOM 2009, 12.5 percent for SDA and rationalized by 0.8 factor. 182 Allowance for Technical Eliminated as individual category and included under Defense person and High Qualification incentive Present system of 1 and 2 tier to continue Rs 3000 monthly and Rs 4500 monthly. Courses for 1 and 2 Tier to be looked into for incentives by experts. Courses to be revised by 31 December and allowance to be paid after review. The present report for the 7th CPC is more focused on abolishing the advances offered for the central government employees. The advances are primarily classified into two segments, they are interest bearing advances and interest free advances. The rate of interest in every advance is actually published by the government of India from time to time and they are pre-determined every year. A huge number of employees are looking for modification within some of the 7Th CPC advances. It is true that the major priority needs to be offered for the House building allowances or the purchase of flats and it is also requested that the purchase of house are sanctioned at lesser amount and the rules are relaxed for the government individuals. In this article we are going to discuss about both the Interest free and interest bearing loans that are offered by the central government. Bicycle Advance: The overall amount issued for Bicycle Advance is Rs 4500 and it will be eligible for those who have grade pay less than 2800. It can be recovered within a maximum of 30 month installments. Warm Clothing Advance: The warm clothing amount for the government officials who reside in the hill station areas shall be given to the Group C employees. It is also offered to those employees who are posted on their first appointment or they are in a transfer of more than one year. Advance of Pay on transfer: This is offered to the employees on 1 month’s pay or 2 months pay if there is a transfer due to the shift of the HQ because of the government policy. The eligibility of this advance is if the employees are transferred from one station to another. And the advance is recoverable within monthly 3 installments maximum. Advance on TA for the family of deceased government employee: This is limited to the 3/4th of the overall expenses which is admissible under the rules. This is similar to the TA that is offered during retirement. Advance on the LTC: The LTC amount allowed is 90% of the overall fare and it is given for all he eligible central government employees. Advance of leave salary: This amount does not exceed the overall amount of the leave salary that includes allowances of 1st 30 days leave after the PF is reduced or the house rent, recovery of advance or Income Tax is reduced. Advance of TA on tour/transfer and retirement: This is the amount which is offered for the travelling of the government official for 6 months if the tour period is prolonged. This is offered in all circumstances when the TA is actually applicable and this advance is adjusted directly after the tour is complete. Advance in connection with medical expenditure: A total of 90% is offered for a major illness. An amount of Rs 10000 is given for the indoor and outdoor treatment of 3 months while an amount of Rs 36000 is given for a treatment of TB when duration is more than 3 months. This is applicable for all the central government employees. Festival Advance: A total of Rs 4500 is given to the employees whose GP is less than Rs 4800. It is recoverable in a maximum of 10 monthly installments. Flood Advance: A total sum of RS 7500 is offered to the employees who are non-gazetted officials and it is recoverable in a maximum of 12 months installments. Advance for Hindi through Correspondence course: A sum of Rs 450 is given for the employees who train for a special correspondence course that is conducted by the Central Hindi Directorate of India. Advance for law Suits: Rs 500 is offered to the government employees and that amount is recoverable within a maximum period of 24 months of monthly installments. Advance for buying Motor Car: On the first occasion the government employees are offered with Rs 180000 and then Rs 160000 on 8 months basic pay or an anticipated amount for a car. This is offered for the employees within pay band of Rs 19530 excluding GP and that is recoverable in a monthly salary of 200 months. Advance of Motorcycle/scooter: A sum of Rs 30000 on the first occasion and then Rs 24000 on second occasion considering the anticipated price of a Motorcycle/scooter. An amount of Rs 20000 is offered for the anticipated price of moped only if the pay is less than Rs 8560. 3. Advance for buying a personal computer: On first occasion a sum of Rs 80000 is provided considering the price of the PC and this is eligible for those who are in the pay band of Rs 19350. It is recoverable in 150 months installments maximum. House Building Allowance: The basic pay for 34 months or Rs 750000 is offered to the employees whichever is less for the construction purpose of the house/flat. For the new house, the cost ceiling limit is maintained at 134 times the pay. 25% is relax-able for the minimum cost of 30 lakh. The max limit for grant of HBA for enlarging existing house shall be 34 months of pay within the pay band. But the eligibility of this facility is the government officials must be in service for more than 10 years and a recovery of principal shall be done within a maximum period of 180 months in 60 installments.